The same tree we brought to you last week was bursting with flowers. 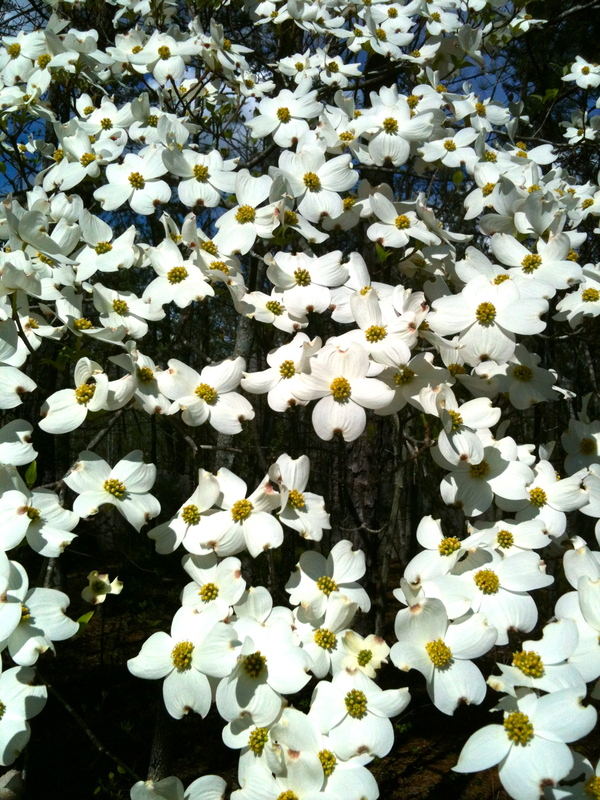 The tree is overflowing with these beautiful white flowers. They only have 4 petals with a beautiful golden yellow inner. I hope you are enjoying all the beautiful trees filled with flowers this time of year. It is absolutely amazing to see them unfold and overflow with flowers so quickly. It’s a bouquet for a GIANT. Have a lovely day and rest of the week. A bouquet for a giant. I love it! Really would be perfect for a giant. The green beans are growing so quick that if Jack came by the bouquet would be perfect for him. Take care my sweet friend.